Canada’s national sport is hockey. Canada has a constitutional right to abortion. Canada is a secular nation with separation of church and state. Trick question. They’re all false. Mistaken beliefs about Canada abound. Some, like hockey rather than lacrosse being our official sport, are innocuous, but others influence our nation in damaging ways. The supposed constitutional right to abortion is one such example. When Canada’s Supreme Court struck down the country’s abortion legislation in 1988, it also said the country should have an abortion law, just not that one. At the top of the Charter of Rights and Freedoms, the very first guaranteed fundamental freedom is that of conscience and religion. Since before Confederation, Canada’s civil society has been guided by more of a “cooperation of church and state” philosophy. Our history, founding documents, laws and jurisprudence have protected religion and fostered its role in various ways. From the BNA Act, up to contemporary court rulings, the free exercise of religion has been constitutionally protected, even supported by government. Witness the number of provinces that allow public funding of religious schools. As Canada turns 150, we need to reflect on this proud and glorious history and recognize just how important religious freedom is in Canada. The Cardus website Faith in Canada 150 is doing a nice job doing just that. Even those not into religion should take an interest if only for the fact that religious freedom is so closely linked to freedom of speech and expression, similarly enshrined in our history, from the Magna Carta, to the English Bill of Rights, to United Nations agreements. In fact, so entwined are religion and free speech that a threat to one is usually a threat to both. Unfortunately, all is not well for the state of free speech in Canada. As hate speech laws expand and censorship of unacceptable opinions grows, the human fallout is troubling. The sentence for having an unpopular opinion these days ranges from public shaming to loss of employment. Large numbers of Canadians, including writers, say they’re tempted to self-censor rather than risk the wrath of the Internet. On university campuses, a special kind of suppression once reserved for pro-life groups is under way. Disruption, protests, shout downs, obstruction and public pillorying now faces anyone with unpopular, usually right of centre, opinions. In the Calgary-based Justice Centre for Constitutional Freedoms’ annual report on freedom of expression at 60 Canadian universities and student unions, only one Canadian university received an A for its free speech practices, while five received an F. Not a single student union earned top marks, and many got an F.
When Conservative Leader Andrew Scheer announced he would cut funding to universities that fail to protect freedom of speech, many treated it like a quirky idea. Maybe that’s because we rarely consider the implications of the latest censorship, only glancing at the most recent scorecard on what is and isn’t acceptable. Philosopher John Stuart Mill called any attempt to silence someone from expressing an opinion “a peculiar evil.” His rationale: maybe the other person is right. Maybe they’re wrong. But censoring an unpopular view deprives all of society the opportunity to reason and debate it. Likewise, restricting religion has a way of impacting freedom of expression, and vice versa. If someone who supports religiously based universities can be labelled a hater, it’s easier to deny the school accreditation. If pro-life speech is classified as extremism, pulling a pro-life flag down at city hall is no big deal. If doctors who oppose some medical practices can be denounced as women-hating fascists, the easier it is to strip them of their privileges. 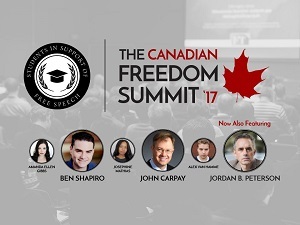 How timely that the first Canadian Freedom Summit will take place at the end of the month. Students in Support of Free Speech are holding the conference June 28 in Toronto to raise awareness of the need to protect free speech and action in a free society. It’s the first conference of its kind in Canada, and the way things are going, I suspect it won’t be the last. 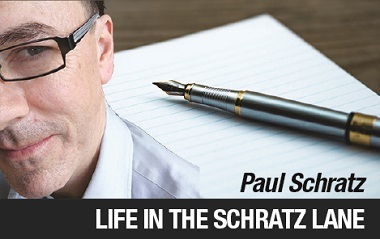 Paul Schratz is responsible for the communications office of the Roman Catholic Archdiocese of Vancouver. This comment first appeared in The B.C. Catholic June 14 and is re-posted by permission. The SCOC realised that you cannot acknowledge the supremacy of God on one hand, while condoning abortion on the other. Subsequently, believers ought not expect the SCOC will invariably protect our right to our beliefs in future. By “. . . doctors who oppose some medical practices . . .” Mr. Schratz is referring to the practices of abortion and assisted suicide, consider that the term ‘medical’ etymologically derives from the Latin ‘medicus,’ meaning ‘to heal.’ We ought never extend such legitimacy to those “practices,” verbally or otherwise. Mark, while I’m sympathetic to your point, I think there’s still hope for the supremacy of God in the preamble. The court struck down the existing law on a fine point, and encouraged Parliament to redraft the law to pass constitutional muster. In addition, many people who believe in God also support abortion. I don’t know how they manage to do that, but it’s not a given that the Morgentaler decision negates the supremacy of God. On your last point, I’m in total agreement. I also wasn’t aware of the origins of the word medical! Trudeau and the current Liberal government are trying to repeal the only Criminal Code section (Section 176) that serves as a deterrent against willfully interrupting, stopping or breaking up a faith assembly including baptisms, mass, funerals and many other religious assemblies.